It's Halloween; a time when the spirits of the dead rise up to walk among the living; a time when spooky, unexplainable things happen; and, of course, a time when Brits of all ages come together for a good old-fashioned booze-up. Birmingham has a long history, and with a long history comes an plethora of ghoulish tales and ghostly goings-on. If you're stuck for Halloween events in Birmingham this year and are planning a bit of a Halloween pub crawl instead, you might want to check out a couple of these drinking establishments, but be aware: you might find your party joined by an uninvited guest. The White Swan in the verdant setting of Harborne, a few miles southwest of the city centre, is a pleasant old pub with a traditional white-washed stone frontage. Harborne is famous for being the birthplace of W.H. Auden, but alas the famed poet has not been sighted sipping a post-mortem pint at the White Swan. When drinking in The White Swan, remember to keep looking over your shoulder. If someone unexpectedly taps you on the back, it might just be John, the pub's resident ghost, who shot his dog and then himself in a fit of despair after the death of his love. Also in Harborne is the Court Oak Pub, which boasts a similar spectral presence. Nicknamed Corky, the Court Oak's ghost has made a name for himself as a troublemaker, after being repeatedly blamed for smashing wine bottles in the pub's basement. Although more of a poltergeist than a standard ghost, Corky has in fact been spotted once or twice, usually appearing in the form of a man in late middle-age standing behind the bar. Deritend is an area of Birmingham with a recorded history stretching back to the 1270s, so you might expect it to have a few ghosts up its sleeve. It is here that you will find Birmingham's oldest inn; the Old Crown Pub, a traditional timber-framed pub on the High Street. The pub doubles up as a hotel, and it was in this portion of the building that a couple reported witnessing a white mist that materialised in their room. The mist was last reported in the late-90s, so the paranormal activity seems to have gone a little quiet in this pub. It is, however, still definitely worth stopping in for a pint. Mind how you go in The Queen's Arms on Charlotte Street; the pub's resident shade has developed a reputation for the kind of behaviour that would earn a living person an appearance before a magistrate. Nicknamed Grasper, this over-friendly spectre is in the habit of grabbing the bottoms of unsuspecting patrons. Other, less dubious occurrences blamed on Grasper include the unexplained moving of heavy furniture in unattended rooms. 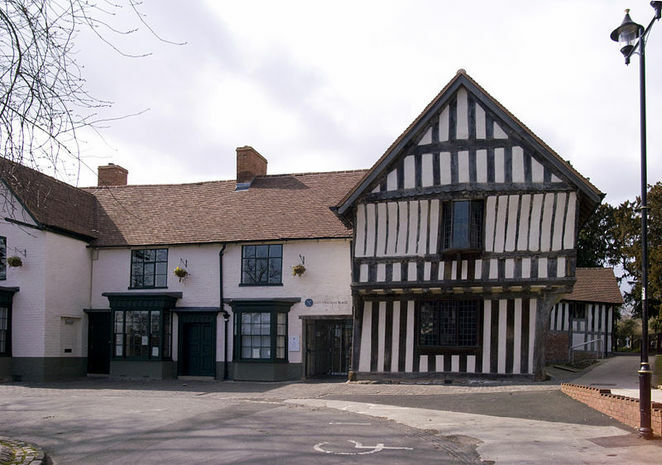 While there has been a pub on the site of the Saracen's Head in Kings Norton for only a couple of hundred years, the building itself dates back to the 15th Century. The complex has been lovingly restored to its original late-Medieval style, which presumably makes its deceased former occupants feel right at home. The Saracen's Head is not haunted by the unfortunate Muslim warrior from whom the pub takes its name, but instead by a former maidservant of Queen Henrietta Maria. On stopping in Kings Norton with her army during the English Civil War, the queen consort's troops were struck down by influenza. The queen herself avoided the outbreak by staying in the Saracen's Head and having her servant run errands to and from the army's camp several miles away. Tragically, the maidservant caught the illness and eventually succumbed, leaving her ghostly form to wander the halls of the old building, searching for her mistress. Enjoy your Halloween, drink responsibly, and try not to have nightmares! Congratulations for getting second place.